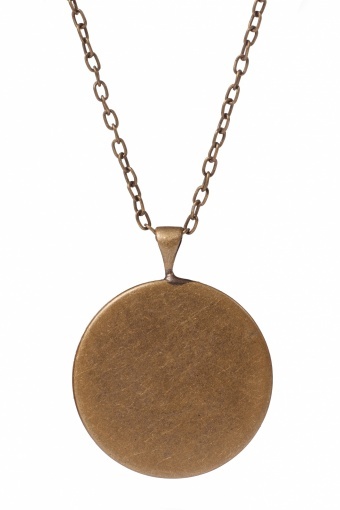 The pendant measures 1” / 2.5cm in diameter, and hangs from an antique tone chain measuring 18” / 45cm. Exclusively available in The Netherlands at TopVintage! 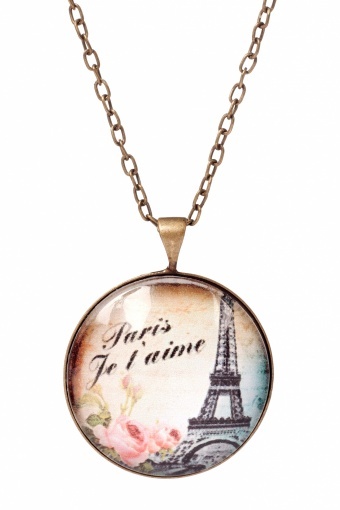 Handmade 30s vintage inspired Paris Je T'aime necklace from Coucou Heart. 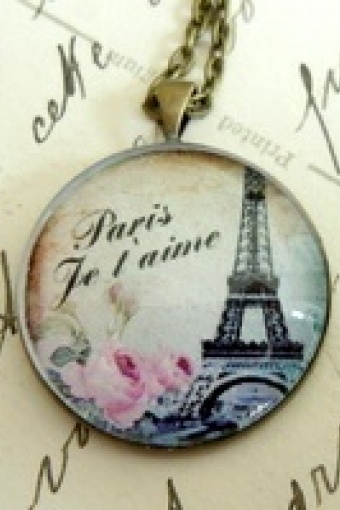 This pendant is wonderfuly shabby chic with roses, vintage tones and the classic image of the Eiffel Tower. 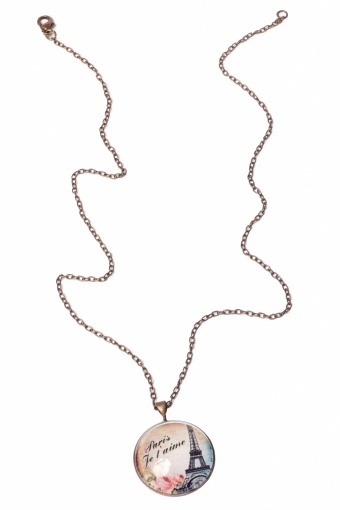 The beautiful altered art style picture has been set behind a domed glass cabochon, in an antique tone pendant setting. Paris je t'aime!